In this video we will discuss the difference between HTML attribute and DOM property. DOM stands for Document Object Model. 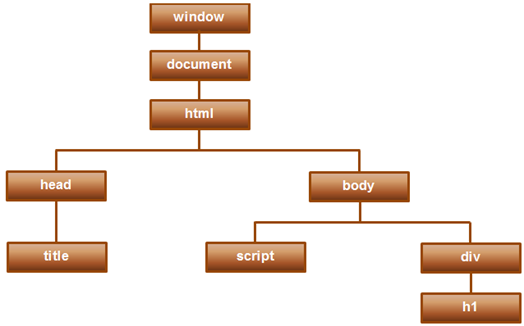 When a browser loads a web page, the browser creates a Document Object Model of that page. 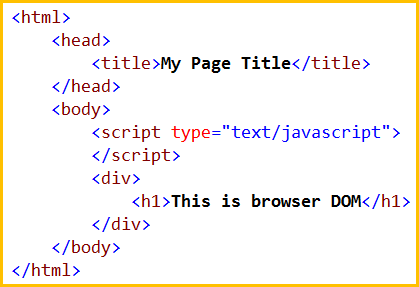 In other words DOM contains the HTML elements as objects, their properties, methods and events and it is a standard for accessing, modifying, adding or deleting HTML elements. In the previous 2 videos we discussed interpolation and property binding in Angular. If you notice the above 2 examples, it looks like we are binding to the Button's disabled attribute. This is not true. We are actually binding to the disabled property of the button object. 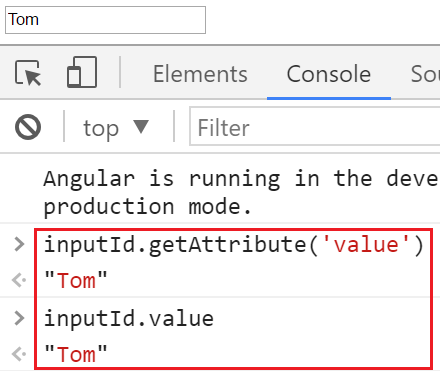 Angular data-binding is all about binding to DOM object properties and not HTML element attributes. Attributes are defined by HTML, where as properties are defined by the DOM. Attributes initialize DOM properties. Once the initialization complete, the attributes job is done. Property values can change, where as attribute values can't. Let's prove this point - Property values change, but the attribute values don't with an example. In the example below, we have set the value attribute of the input element to Tom. At this point, run the web page and in the textbox you will see 'Tom' as the value. Launch the browser developer tools. Change the value in the textbox to Mary. Notice now, when we query for the attribute and property values, the attribute value is still Tom but the property value is Mary. So this proves the point - Property values change, where as attribute values don't. HTML attributes and the DOM properties are different things. 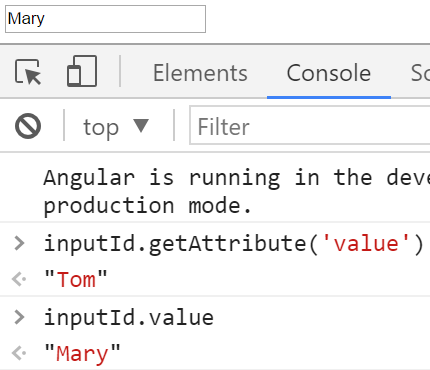 Angular binding works with properties and events, and not attributes. The role of attributes is to initialize element properties and their job is done. Wow great! I never knew this before.